On Sunday, Sept. 11, thousands of Lutherans came together to put their faith in action as part of “God’s work. Our hands.” Sunday, the ELCA’s annual dedicated day of service. The 2016 service day coincided with the 15-year anniversary of the Sept. 11, 2001, terrorist attacks on the United States. 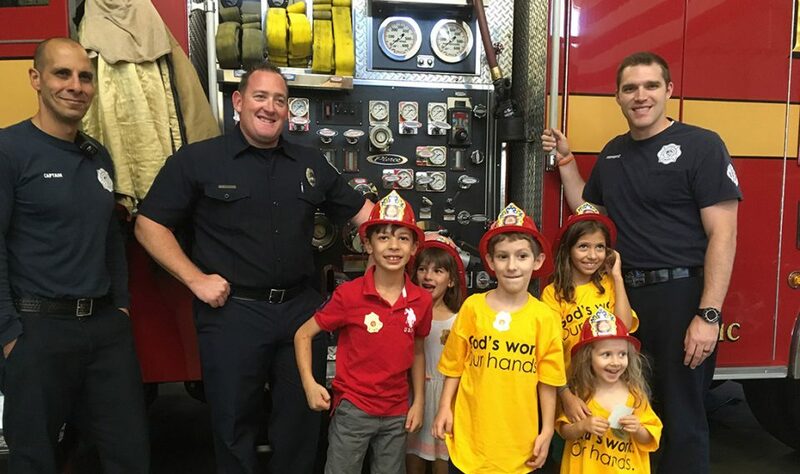 Many congregational service projects focused on honoring the first responders in their communities. Here are some highlights from the day. Photos will be added to this blog all week so check back for updates. Send your photos and stories to livinglutheran@elca.org. Reformation Lutheran Church, Las Vegas, participated in “God’s work. Our hands.” Sunday on Sept. 11 through park cleanup, making cookies for firefighters and a barbecue at the police station in downtown Las Vegas. 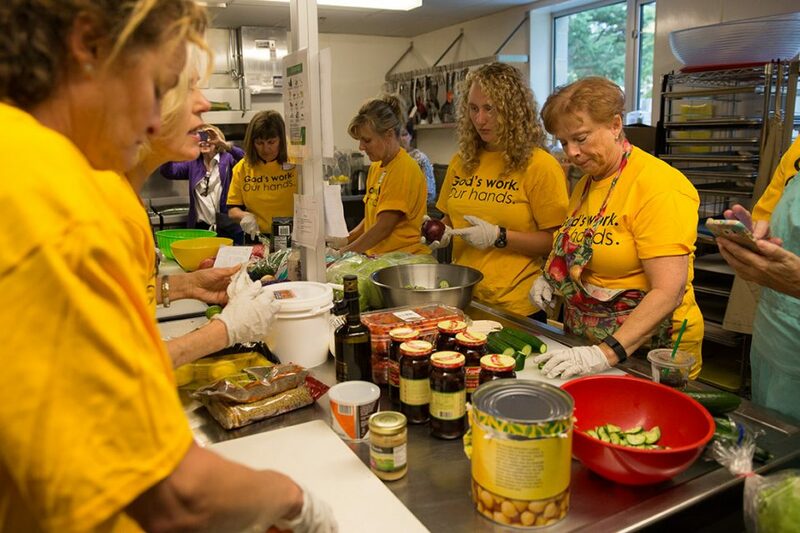 Members of Trinity Lutheran Church in Mercer Island, Wash., worked at Tent City 4, a homeless community currently camping at Temple B’Nai Torah in Bellevue. Participants made a meal for the community and participated in an interfaith project with Jewish and Muslim partners. 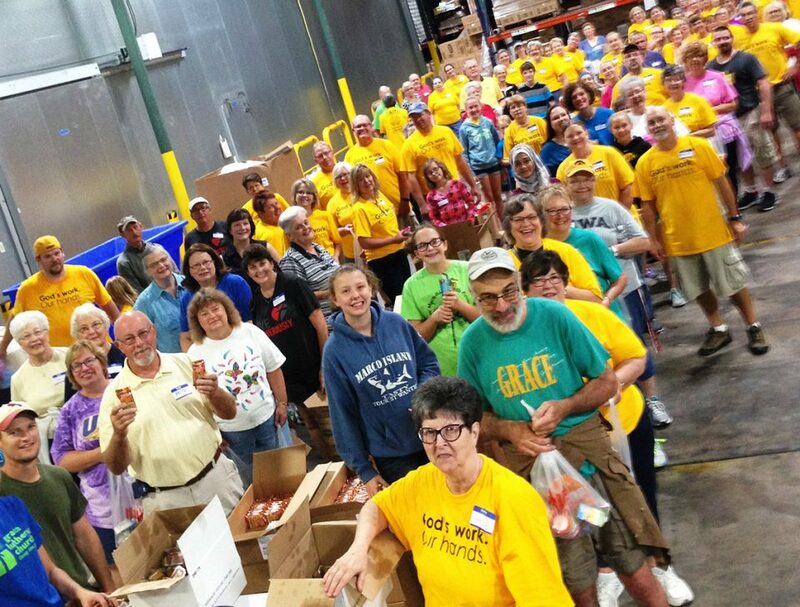 In Iowa, some 115 volunteers from seven Quad City congregations—St. 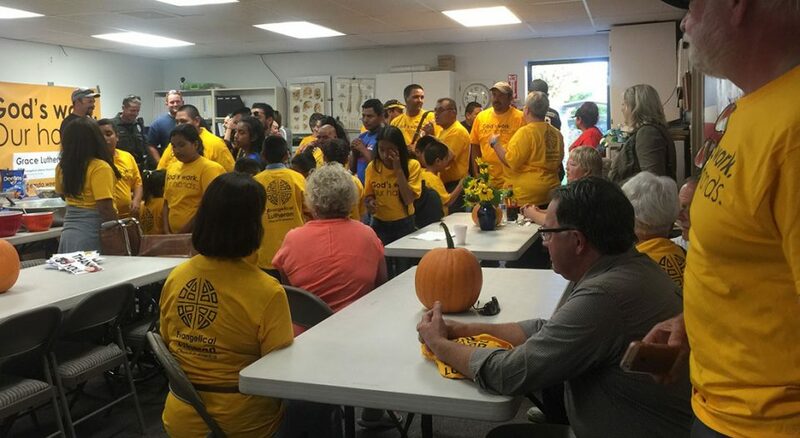 Mark in Davenport, Zion in Davenport, St. James in Bettendorf, Calvary in Buffalo, Grace in Davenport, St. Paul in Davenport and Faith in Eldridge—volunteered together for their day of service on Sept. 11. They stuffed bags of food for River Bend food bank’s backpack program. 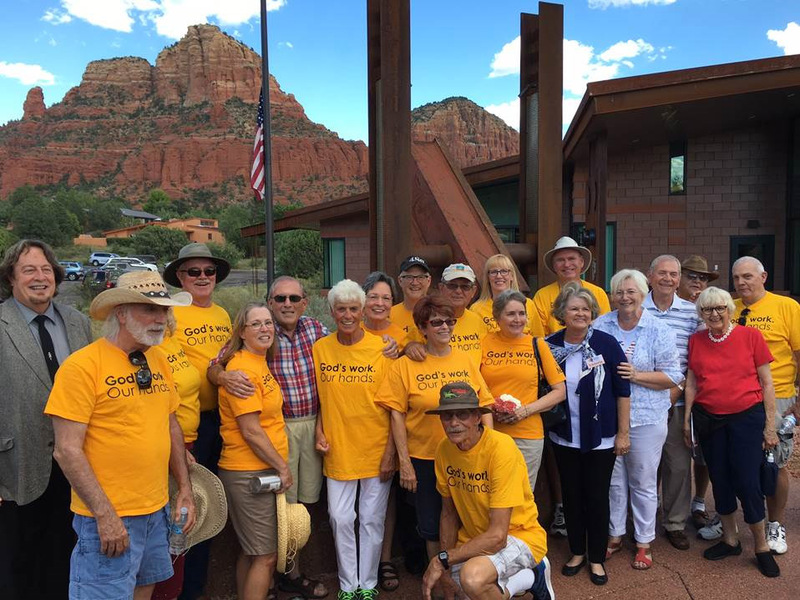 Members from Christ Lutheran Church, Sedona, Ariz., participated in a community event to dedicate the city’s 9/11 memorial on Sunday, Sept. 11. They helped lead the dedication service, provided food and refreshments for about 700 guests and cleaned up after the event. 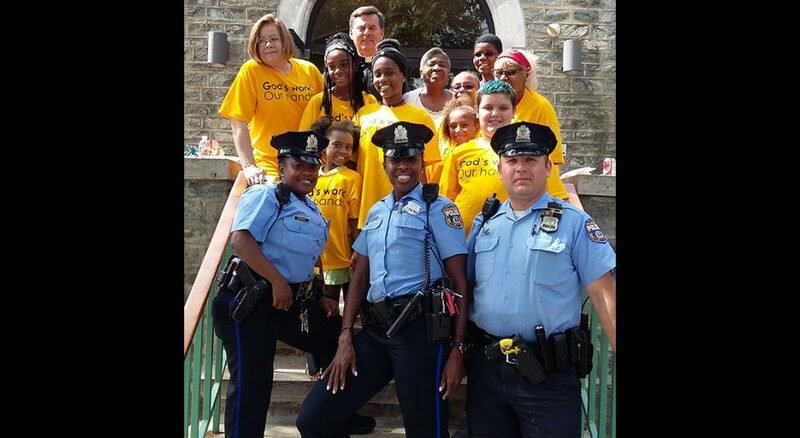 On Sept. 11, St. Paul Evangelical Lutheran Church in Philadelphia provided lunch for members of Philadelphia’s 35th police district. The Sunday school children made cards for the officers to show how much they appreciate them and the work they do in the community. 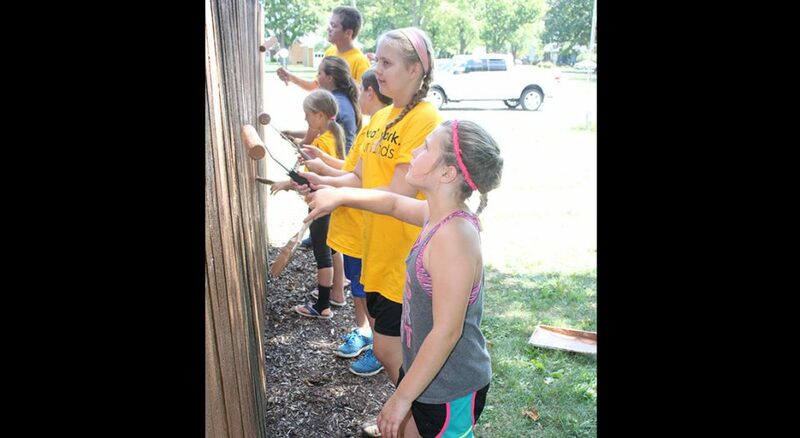 More than 60 volunteers representing five Northwestern Ohio Synod congregations completed projects benefiting Luther Home of Mercy’s ministry of service to individuals with intellectual and developmental disabilities. More than 50 members of Faith Lutheran Church in Quincy, Mass., joined with the Quincy fire department to observe Sept. 11 as a day of unity in spirit, action, hope, prayer and support. 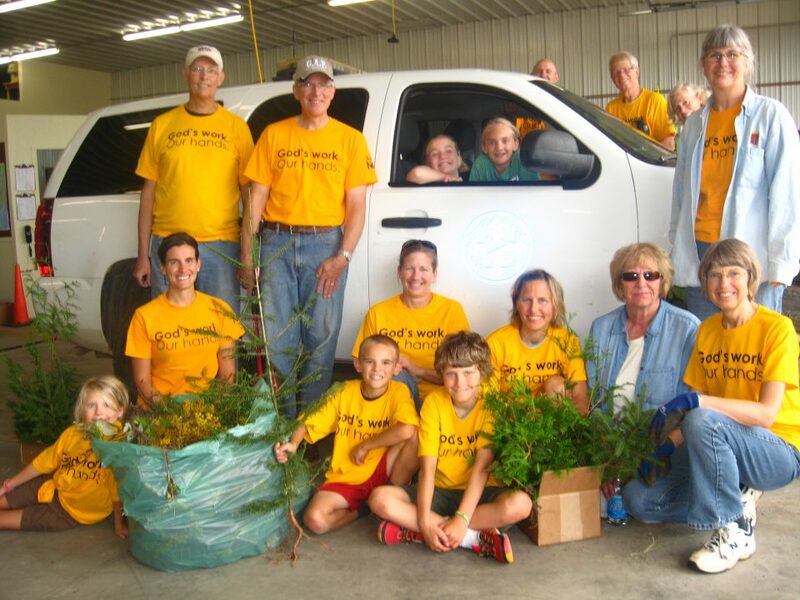 Members of Bethlehem Lutheran Church in Grand Marais, Minn., led a service project at the Search and Rescue Facility of Cook County, Minn., to show gratitude for first responders and to recognize the 15th anniversary of 9/11. Immanuel Lutheran Church, Yorkville, Ill., packed more than 28,000 meals at Feed My Starving Children. 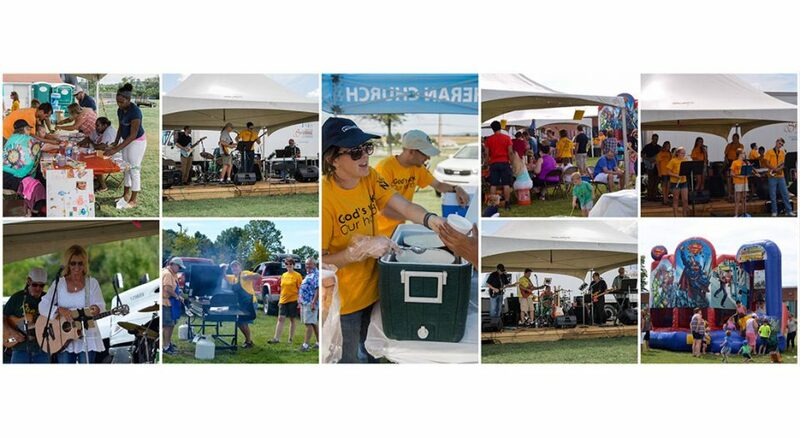 St. Paul Lutheran Church of Jefferson, Md., hosted a free community fest that included activities, food and live music. Grace Lutheran Church giving thanks to the local fire, police and EMS workers of Mattawa, Wash.
God’s work. Our hands. Every day.